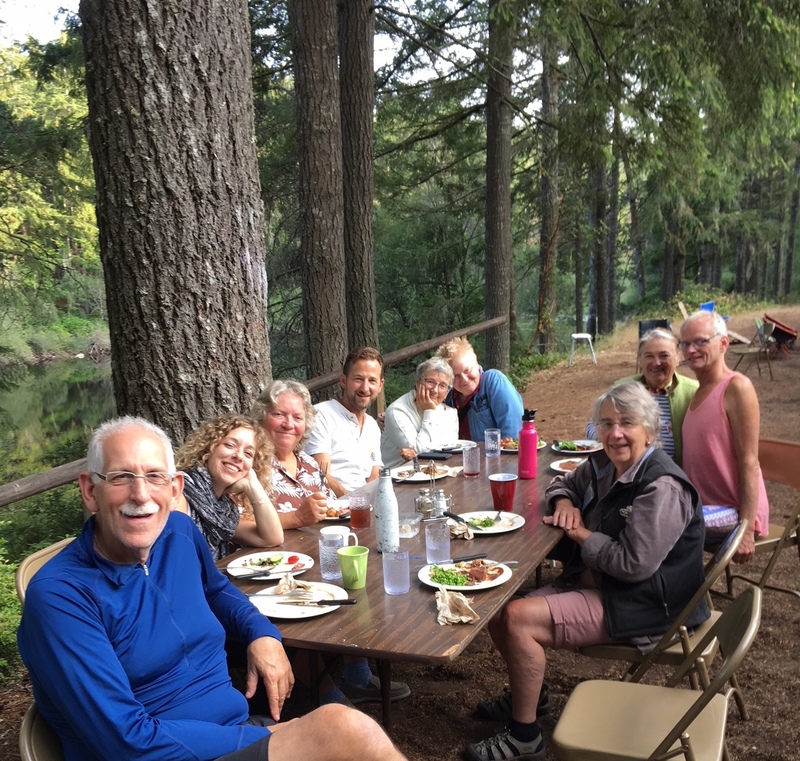 Each summer since 1974 the Puget Sound Guitar Workshop has taken place at a camp/retreat center hidden away in the tall pines of Washington State. 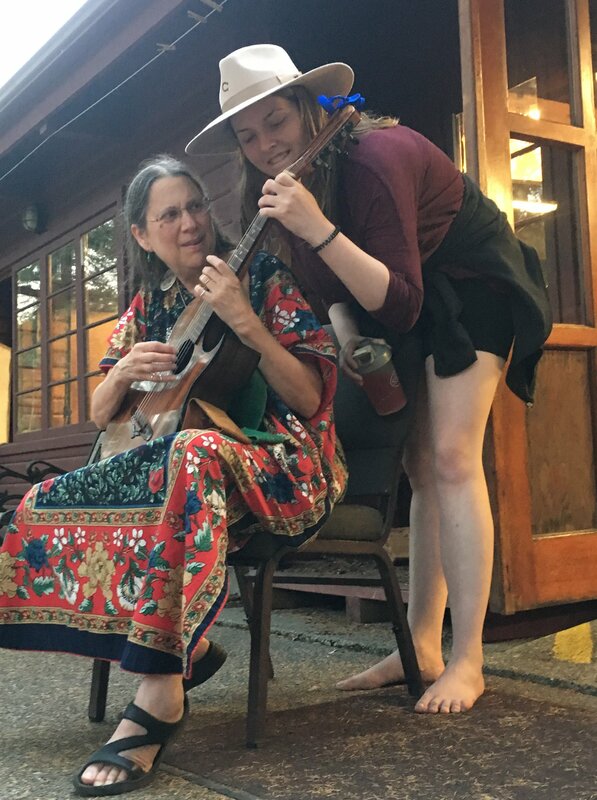 The spirit of that first Guitar Workshop session in 1974 has grown and prospered, and in the process inspired many other camps, conferences, and retreats to enrich the lives of thousands of people from around the world. Visit the events calendar to view a list of current PSGW sponsored camps and retreats. The first day of camp is set aside for meeting other campers and finding out more detail about the classes being offered. There’s an opportunity to chat with the teachers before choosing which classes to take. First-time students can attend an orientation to meet other new students, take a tour around the retreat center, learn more about the structure of the week, and ask questions. For the next five days, there are two classes in the morning after breakfast, then a break for lunch, and then a third class after lunch. The time is yours to use as you like. Take as many or as few classes as you want! After the day’s classes are over, there are workshops you can attend dedicated to specific topics. Students can also make suggestions or special requests for workshops. "There are few places that are so safe to try new things and make mistakes in the good company of other adults doing the same. We need more of this as adults." 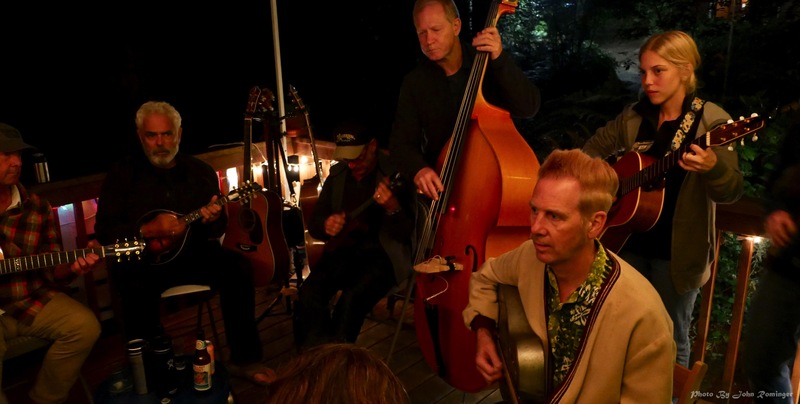 The Puget Sound Guitar Workshop is held in a gorgeous wooded setting with a private lake near Bremerton, Washington (about 90 minutes southwest of Seattle by car). Directions will be sent to all students well before camp. Seattle-Tacoma airport (commonly known as "SeaTac", airport code SEA) is the closest major airport. The shuttle bus from the airport to camp takes 60 to 90 minutes. "I took a class called the CAGED method from Nina Gerber. I had been wanting to play lead guitar, but didn’t really have a framework of how to start. At the time this class felt pretty challenging, but...it gave me exactly what I needed to reach my goal of playing lead." Lodging and all meals are included in the cost of registration. There are charming, rustic cabins (with bathrooms and electricity - don’t worry!). Students can choose either to stay in the camp lodging or to bring their tent, camper van or RV (no hook-ups). 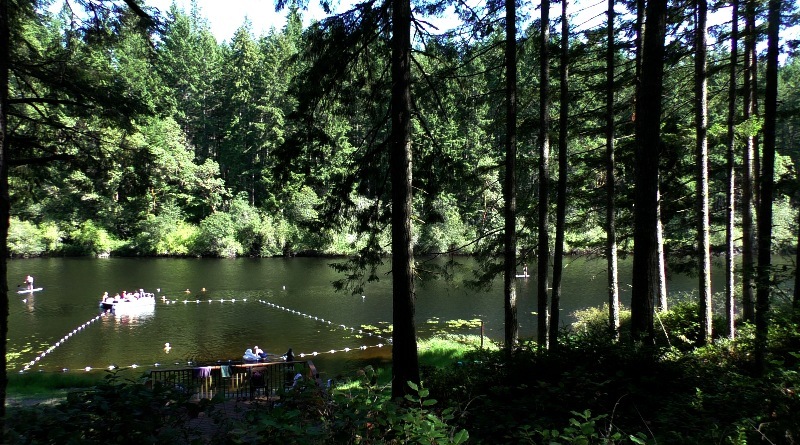 Tent camping locations all have access to nearby kitchens, bathrooms and hot showers. The staff work hard round-the-clock to provide fresh, delicious, balanced meals for campers! There’s breakfast, lunch and dinner each day, plus a late-night snack. We can accommodate dietary restrictions or food allergies. We’ll ask you about your preferences for both meals and lodging in advance of camp. "PSGW and the people I’ve met there have been responsible for helping me tap into that comfort, confidence, and willingness to take risks that I didn’t know I possessed."